Video games have long experimented with the idea of multiple endings, branching narratives, and all the different ways a player can change the outcome of a game’s story. While the concept of “players making their own decisions” in games has been in play for years, we have yet to see it implemented to an evolved extent in a virtual reality game. However, Twisted Pixel’s Defector finally provides the importance of choice for virtual reality enthusiasts. 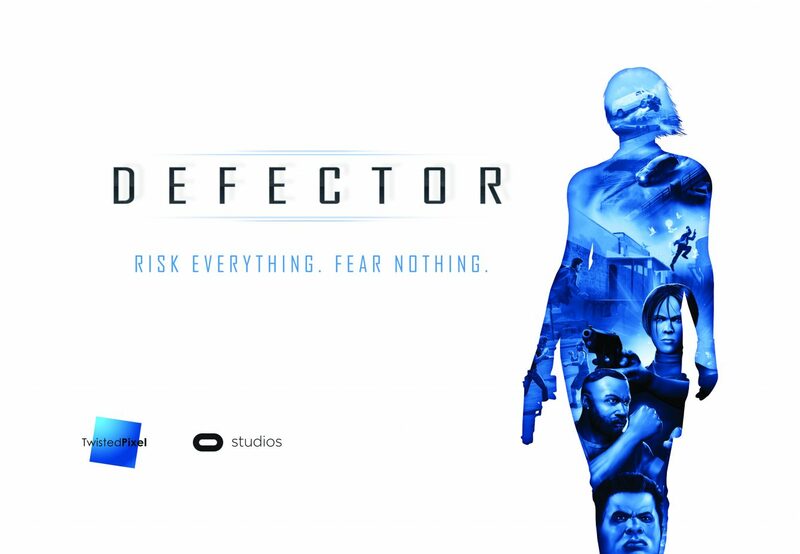 During PAX East 2018, I had the chance to check out a preview of Defector during Oculus’ Game Days Event, and had the opportunity to get a glimpse of what to expect from when the game fully launches, as well as the chance to see how your choices impact a virtual reality game. During my demo of Defector‘s early build, it started off with asking me various questions which determined which kind of locomotion I would prefer: free movement with snap-turning was the most fluid experience for me, personally. As the demo commenced, I was in a room, placing a particular contact lens in my eye (even having to mimic the actual act of putting it on my eyeball) along with a small box, which I opened that contained an earpiece, which I placed in my virtual ear. After setting the earpiece inside, an ally provided me intel while I also learned how to use the game’s controls, which were easy to memorize as well as accessible. Once the initial introduction was made, I exited the room and realized I was in the sky, on a lavish airplane full of criminals. Being the undercover spy I was, I had to ensure I did not draw any unwanted heat and blow my cover. That being said at one point while I was exploring I had to receive a full-on pat down from security, and yes, I actually had to raise my hands while I got patted down. It felt very much like going to the airport and having to be patted down by a TSA officer when trying to get towards your terminal, a small but exciting feature which added more immersion into the game. As mentioned earlier, a core of Defector‘s gameplay is based on the player’s choices, a prime example of this was towards the end of my demo when I had to decide how I wanted to exit the plane – either jumping out along with my partner or if I wanted to leave guns blazing. I chose the second option, and it left me in a firefight against a slew of enemies as well as a fist fight, which ended up reasonably short thanks to a ring I picked up earlier in the demo (more on that later). To sum up the rest of the second option, it ended with me grabbing keys to a luxurious car and driving my way out of a moving plane. Sadly, I did not have a chance to play through the other option of jumping out of the aircraft, however, from what I was informed, it consists of a climbing minigame. Circling back to the topic of choice, Defector had plenty of options in the demo build, which was only twenty minutes long. Specific objects you picked up would also help you during your playthrough such as the ring I mentioned in the previous paragraph that I obtained after I had a brief moment to examine a suitcase found in the room I was currently inside. 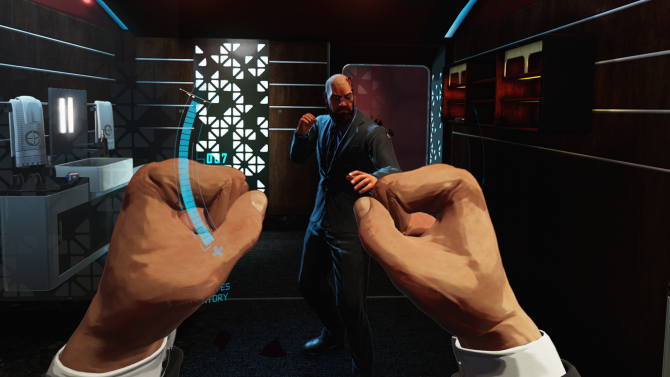 While there are numerous ways to experience the game, which increases the overall replay value, some of the “choices.” The AI will ask you a question, and you are then presented with four dialogue options, although the dialogue options also function as a quiz of sorts and you have a certain amount of times you can get a question wrong resulting in your death and ending the game. So, attention to detail and understanding the intel on your enemies will save your skin in more ways than one and is essential to progress through the game further. With what little time I had with the demo, I was indeed impressed with what I played. 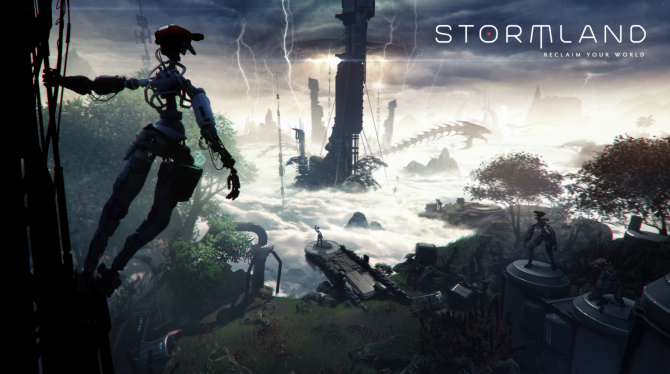 Aside from the importance of choice, which branches out how your playthrough will progress, the game’s premise is also exhilarating. The outcome of every mission you endure will be guided based on the choices you make each game. Whether they are big or small, every decision you make will alter your playthrough. With the little time I did have with Defector, I was impressed. 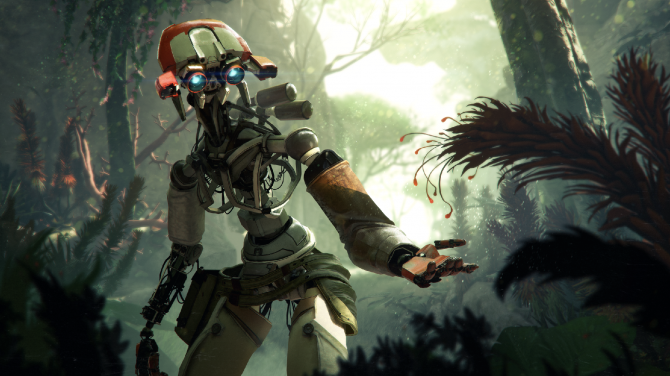 Aside from being just another virtual reality action title, it had so much more substance and made it a multidimensional Oculus Rift exclusive that HTC Vive and Windows Mixed Reality owners should be envious of. At times, I felt like a secret agent or even James Bond as I gathered intel, went undercover as a criminal and stopped the bad guys. 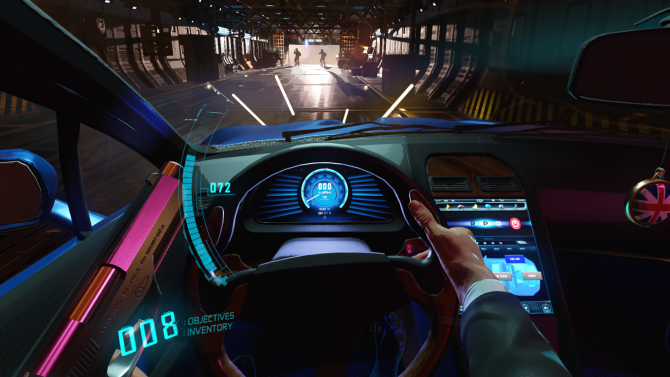 At the same time, Defector brings plenty of new things into virtual reality by the power of your choices, which can alter how you will experience the game. Currently, Defector does not have a release date. However, Twisted Pixel has stated the game is anticipated to launch sometime this year.